For more than 75 years, the University of Southern California has been working to ensure that people of every age and from every circumstance can live life to the fullest. Throughout the decades, Trojans near and far have advanced the profession of occupational therapy and the research discipline of occupational science. Today, the USC Mrs. T.H. Chan Division of Occupational Science and Occupational Therapy proudly carries this legacy forward as we aim to improve the quality of life of people and communities across the world. USC established the first graduate programs in occupational therapy and occupational science, and is consistently ranked among the nation’s top educational institutions. Our scientists currently hold more than $18 million of federal grant funding. 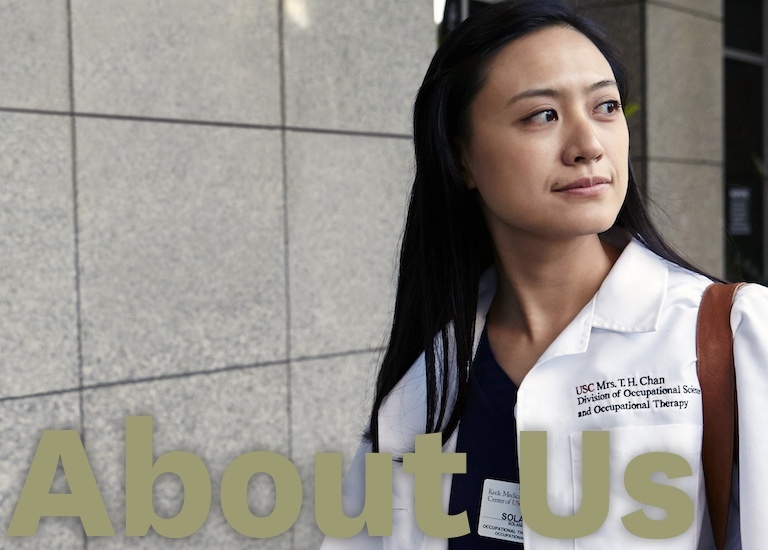 Our alumni hail from 45 countries on six continents, and with nearly 90 full-time faculty members engaged in research, education and patient care, USC Chan is truly a place like nowhere else. USC Chan graduates are uniquely prepared to tackle the ordinary and extraordinary challenges that impact people’s health and well-being. If you are a prospective student, please use our online Program Information Request form to receive more information about our academic programs. Here at USC Chan, our researchers, educators, clinicians, students and alumni are together dedicated to optimizing the engagement of people — especially those with disability, injury, illness, unhealthy lifestyles or chronic conditions — in the ordinary and extraordinary activities of life.